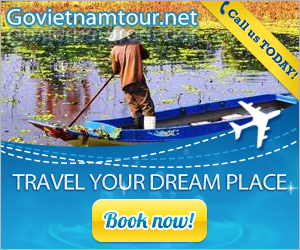 According to legend, Giong Saint was born in Phu Dong commune, Gia Lam district, Ha Noi. 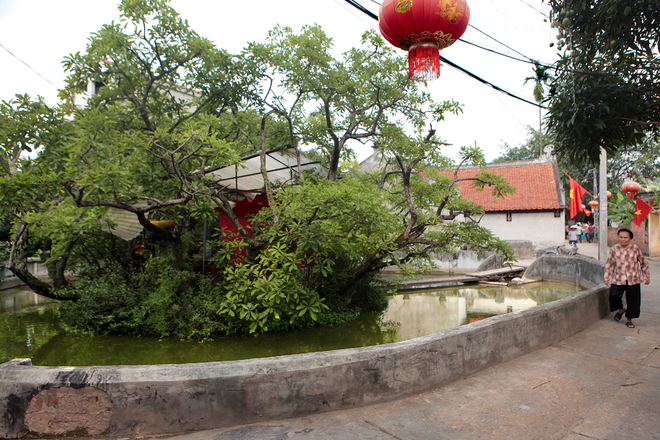 Today, this place still has sacred wells that are associated with interesting stories. 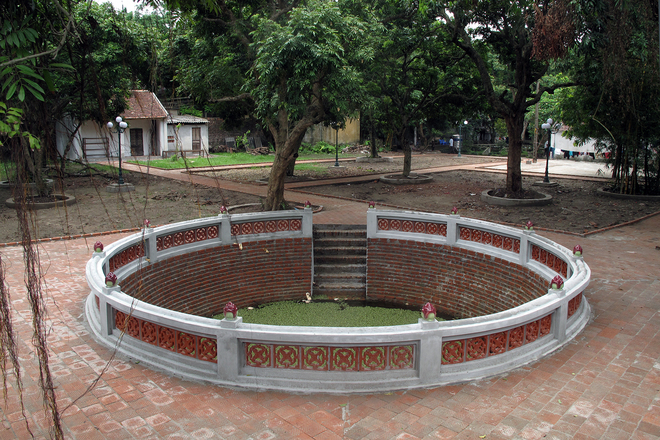 First, it must be mentioned to Mieu Ban well (Ban village, Phu Dong), the well is situated behind the temple where worships Mother Saint. 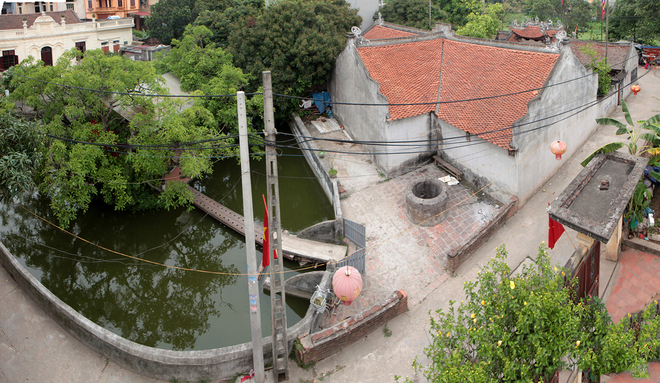 There is a mound of 30 square meters in the middle of the well and surrounded by old trees. 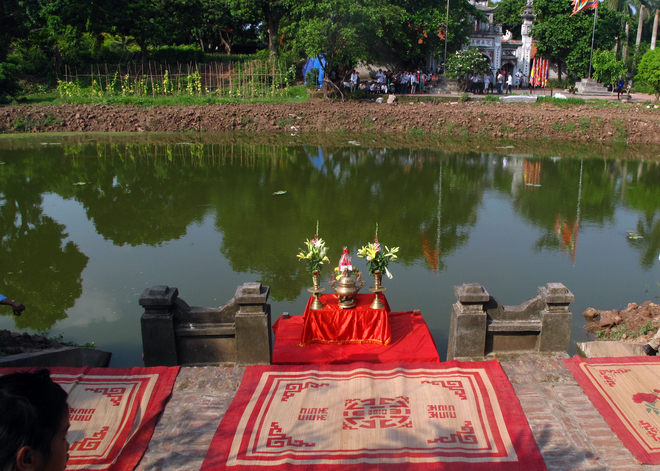 Today, local people organize worship rituals at the mound. 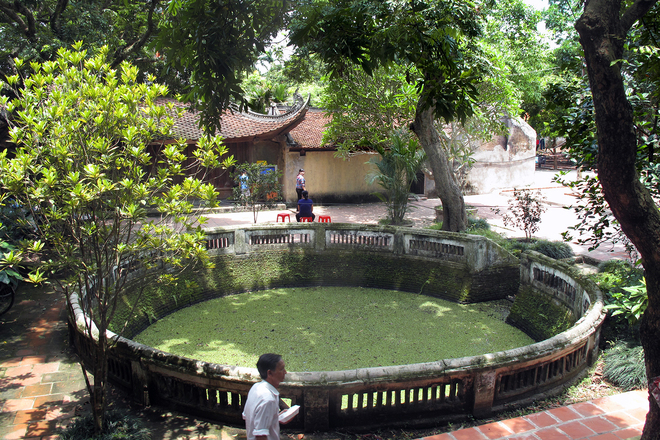 As the legend, Giong Saint was born and bathed in this well. 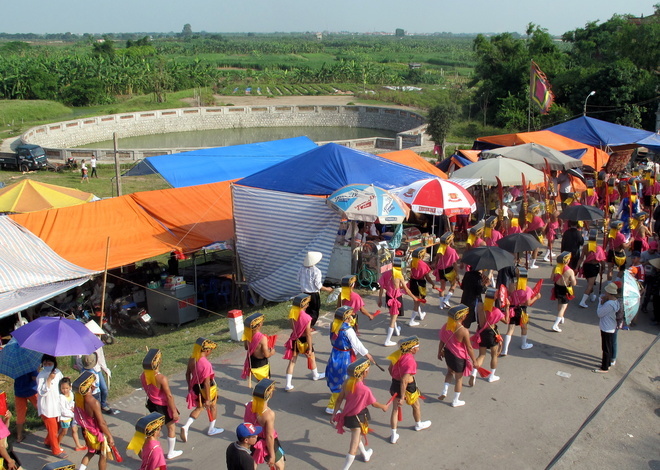 In the Giong festival, crowded pilgrims come here. 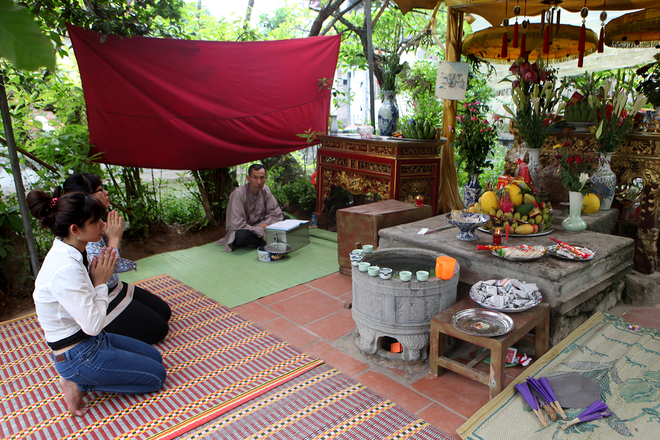 Mr. Tinh added “Thuong temple is situated in a sacred land which helps nation peaceful and people peace of mind”. 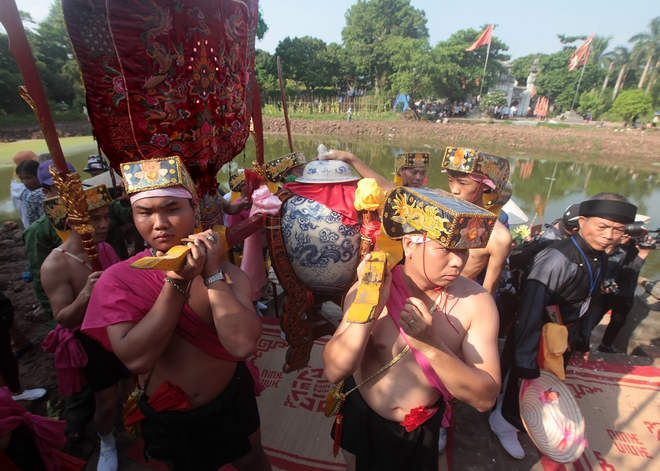 The water procession begins Giong festival (April 8th – 9th lunar calendar). On the Saint festival, all local people get involved. 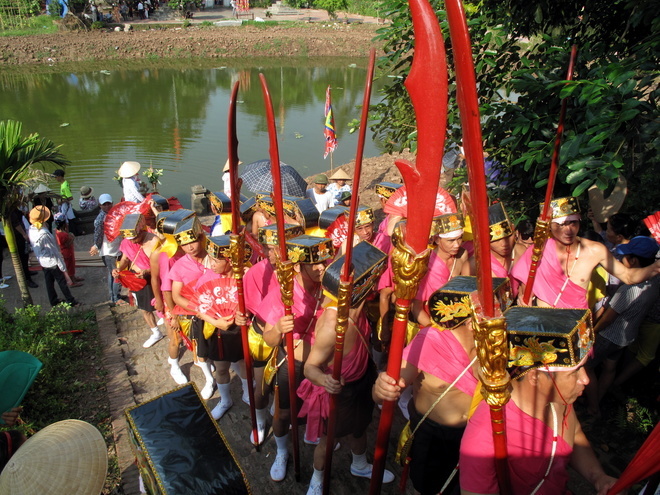 A team of local people stands in two lines along steps down to the well. The ritual starts with a couple of sacred jars placed on the edge of the well. Water will be poured into the jars and all steps follow the behest of drums and gongs. 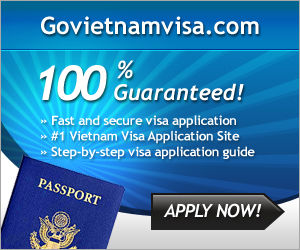 And then, participants take such these jars back to the Thuong temple. 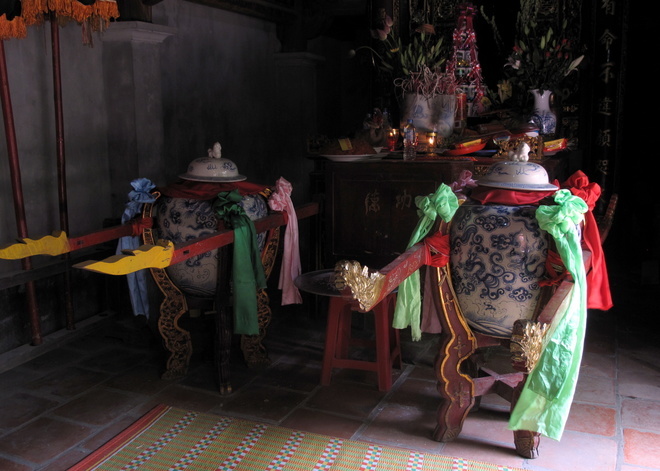 The water in the jar is placed on the altar of Giong temple.